Roland Pease reports from Japan on the lessons learnt from the recent tsunami. 30,000 are dead or missing following the recent earthquake and tsunami in Japan. Like the Indian Ocean tsunami of Boxing Day 2004, the events of March 11 remind us of the destructive forces that can lurk in the deep ocean. 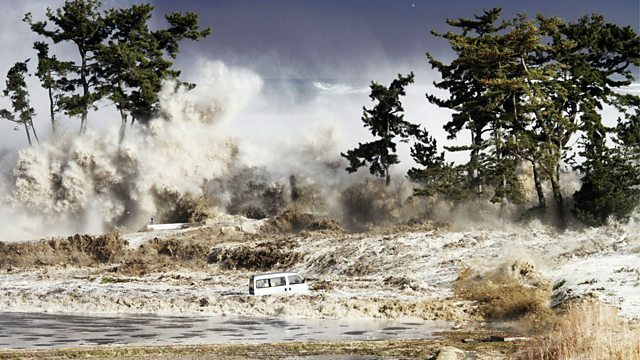 But while waves of up to 40 metres height pummelled the Japanese coast line, as happened in Sumatra 2004, Japan was prepared, and had defences and emergency routines in place. How well did they work? This was the first ever test of such engineered defences and rehearsed evacuations. The death toll was much lower than in the Indian Ocean, but great sea walls crumbled under the assault of the powerful ocean waves, and whole towns were still washed away. Roland Pease reports from Japan on the lessons learnt from the recent tsunami.